Yes, you have read that right. I am cracking out the C word; shocking, right? I personally love Christmas and I like to get into the Christmas spirit after the Poppy appeal. As you can tell I am not wasting any time. 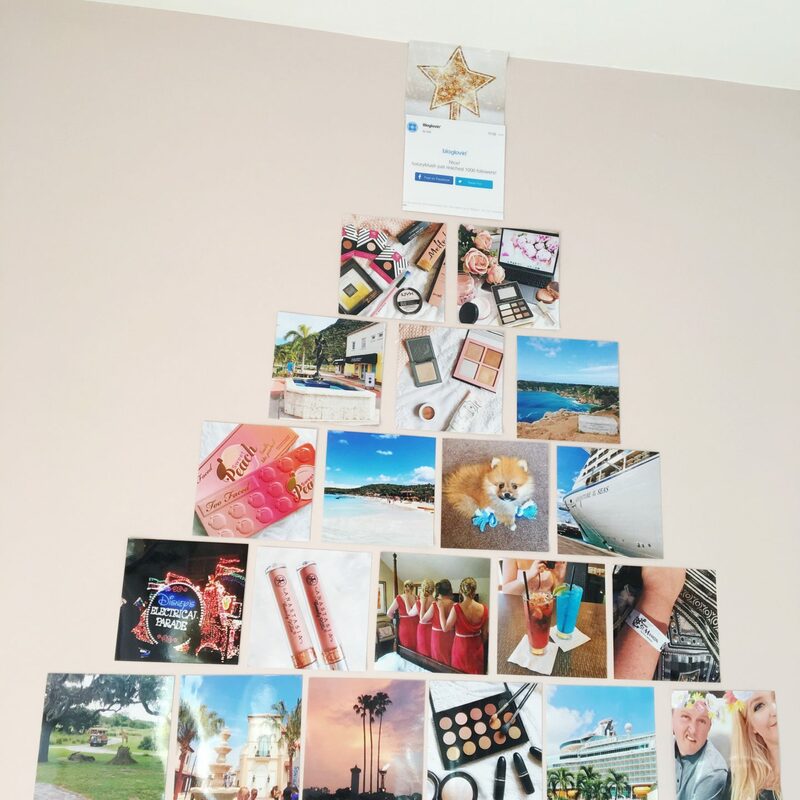 I already have a Christmas Tree Photo Wall in my room. My photos aren’t your typical Christmas photos, as I don’t have very many. I decided to go with mainly holiday photos, as that’s what I like to look back on. A huge thank you goes to Printiki for working with me on this, as I love their prints and use them for my scrapbook, which I love adding to. The prints are always stunning quality, and the order process is really easy too. 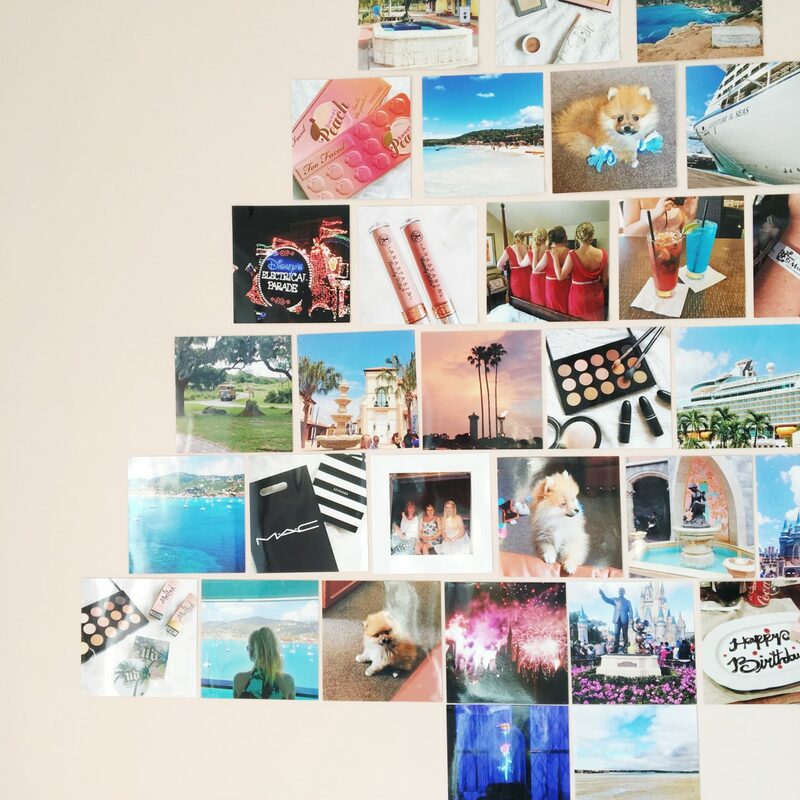 The photo wall costs £12, and you get to pick 40 photos, with a free star for the top too. You can use photos from Facebook, Instagram, Dropbox, One Drive or you can upload them from your computer. They don’t have to all be from one place either, as you can mix and match. 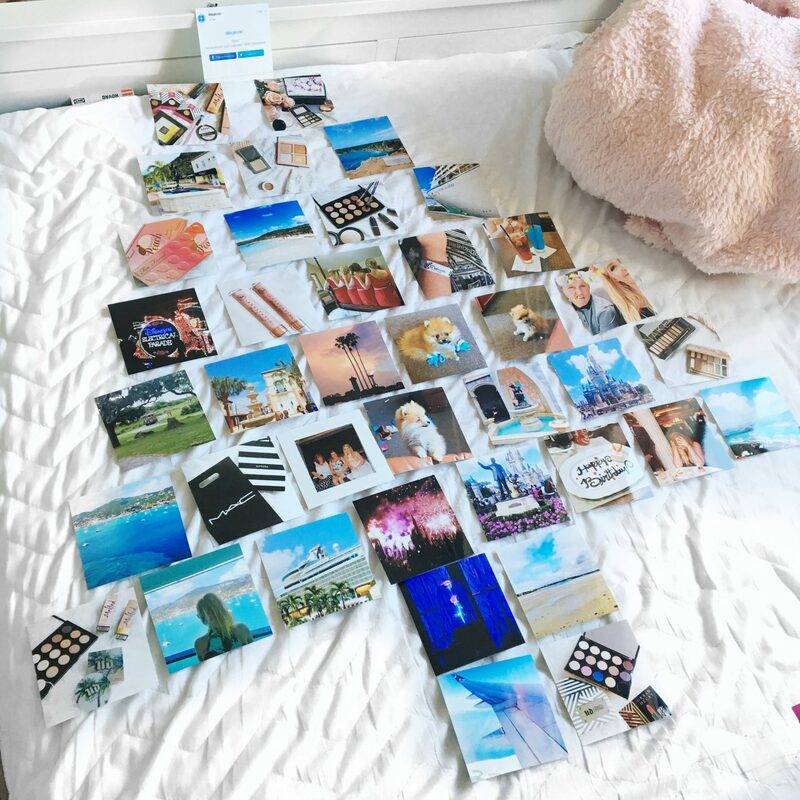 The only thing you will need to buy separately is the stuff to stick the photos to the wall. 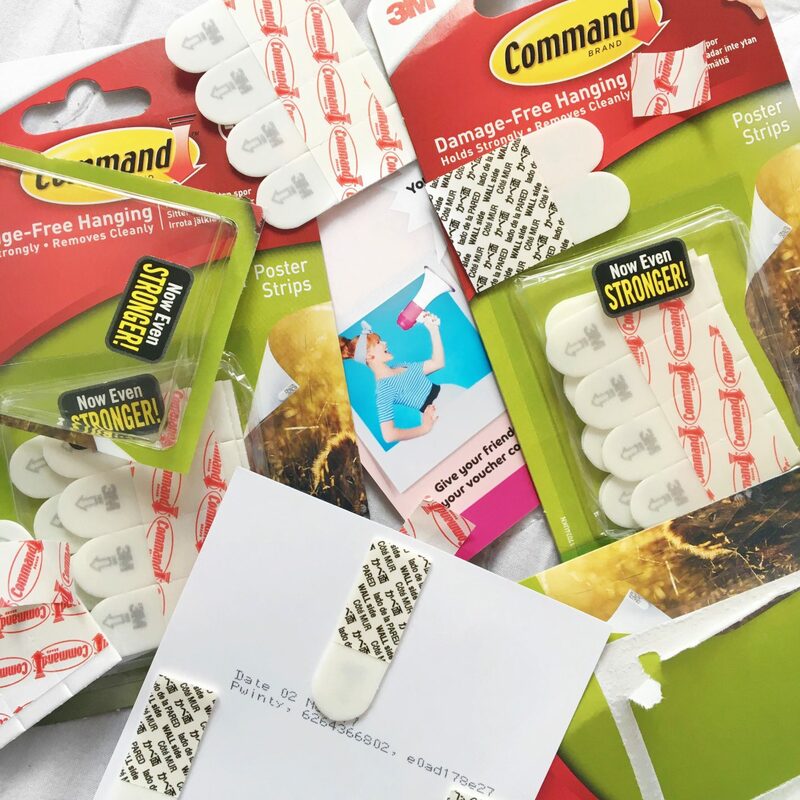 I ended up getting these ones from Staples, but I somehow managed to run out halfway through, so I had to make a quick trip to a store to pick up some more. I put three on the back, but you could definitely get away with only using two. When you’re about to stick your photos on the wall I would advise laying them out somewhere first. I used my bed, and put the photos out in an order I was happy with. It makes it much easier this way, and you can make sure that you’re happy with it. One thing I wish used more the first time I put mine up was to use the template. I didn’t use it when I first put my photos up. I of course somehow thought that I knew better, (I don’t know why either). When I finished, it didn’t look great. The top of the tree wasn’t aligned with the bottom of the tree. It looked like the Leaning Tower of Pisa, which is good and all, but it wasn’t the desired outcome. I then decided to use the card to start realigning and it looks much better with everything in line. Moral of the story, use the template, as it makes the whole thing so much easier. Overall I am incredibly happy with my photos and it is such a great way to have them displayed. You can also get a heart template, if Christmas isn’t your thing. My only advice would be to follow the template, and then you can’t go wrong. I also think I’ll be ordering more prints in the future to add to the wall. 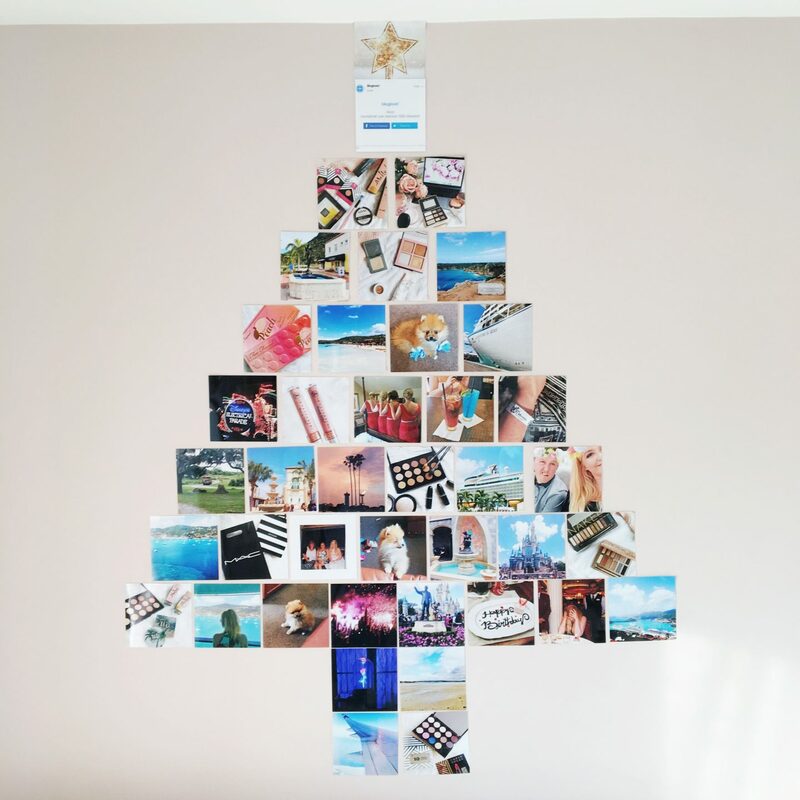 You can easily turn it from a Christmas Tree, to a feature wall full of memories. This is so cool, absolutely love it! What a cool concept ! I would have never thought of doing that ! This looks really cute! I’m excited to start decorating for Christmas. This is such a cute idea!!! I’m definitely going to be doing this!! Some fairy lights would also really make it! 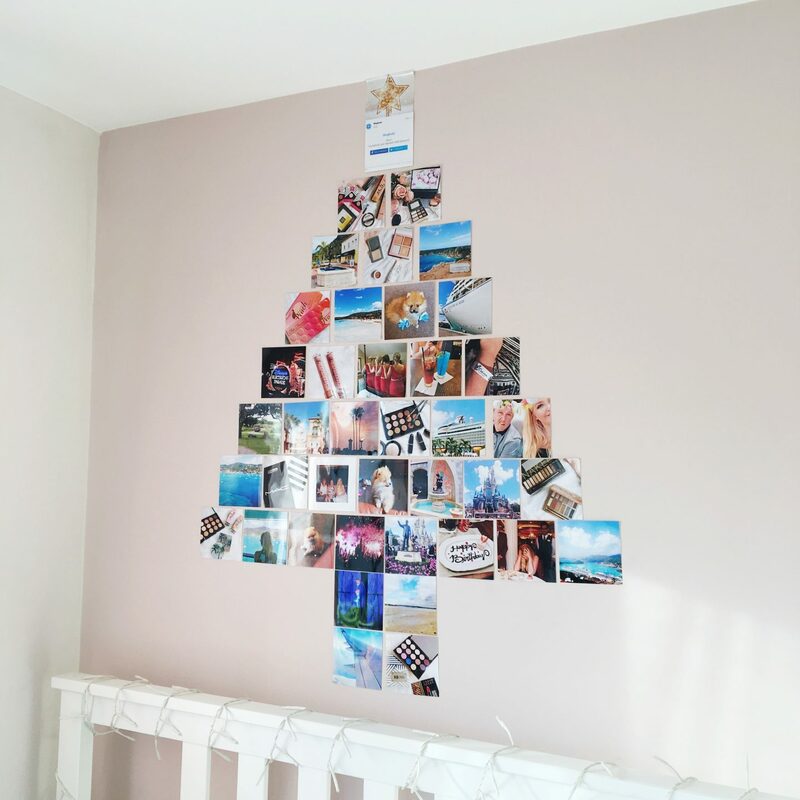 I always love anything to do with photos… I forget to have mine printed all of the time, so this is a lovely idea! This is SUCH a cool idea! I’ve never seen it before but now I need to make one of my own haha. And good to know on the template because I’m definitely the kind of person who would just try to throw it up on my own too haha. Haha yesss love this idea! So cute! Ah how cute is this!!! I love the feature and think this is a great idea for everyone! 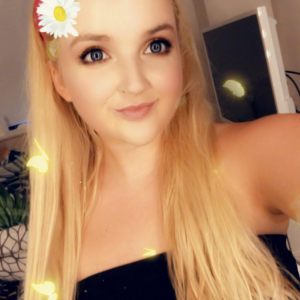 Hope you’re well lovely, can’t wait to see more posts from you and wishing you a great week ahead!